Special Report: The National Archives has approved an appeal by journalist Robert Parry seeking release of a 30-year-old secret, the address where George H.W. Bush supposedly went on an October weekend in 1980 — when several witnesses put Bush in Paris meeting with Iranians. But it turns out the “alibi witness” is now dead. A three-decade-old mystery has finally been solved who was George H.W. Bush’s unidentified “alibi witness” on Oct. 19, 1980, when other witnesses allege the then-Republican vice presidential candidate took a secret flight to Paris for meetings with Iranians but the mystery’s answer only raises new questions. After 20 years of rejecting requests from various investigators for the identity of the “alibi witness,” the U.S. government finally released enough information from Secret Service files in response to an appeal that I filed with the National Archives to ascertain the person’s identity. The person who perhaps could have verified where Bush was or wasn’t on that day was Richard A. Moore, a Bush family friend best known for his role in the Watergate scandal as a special counsel to President Richard Nixon. In 1973, Moore was Nixon’s point man in attacking the credibility of fired White House counsel John Dean after Dean turned whistleblower. 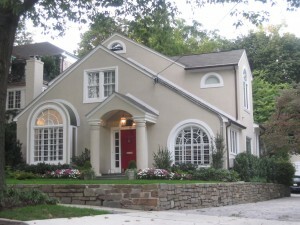 ‘Moore Residence’ at 4917 Rockwood Pkwy. NW, Washington, DC. 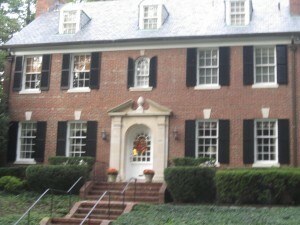 In 1980, the home of Richard A. Moore. According to Secret Service records that I found in the files of Bush’s White House counsel C. Boyden Gray — and which have now been more fully released — Bush’s Secret Service detail left the Bush family home at 4429 Lowell St. N.W. 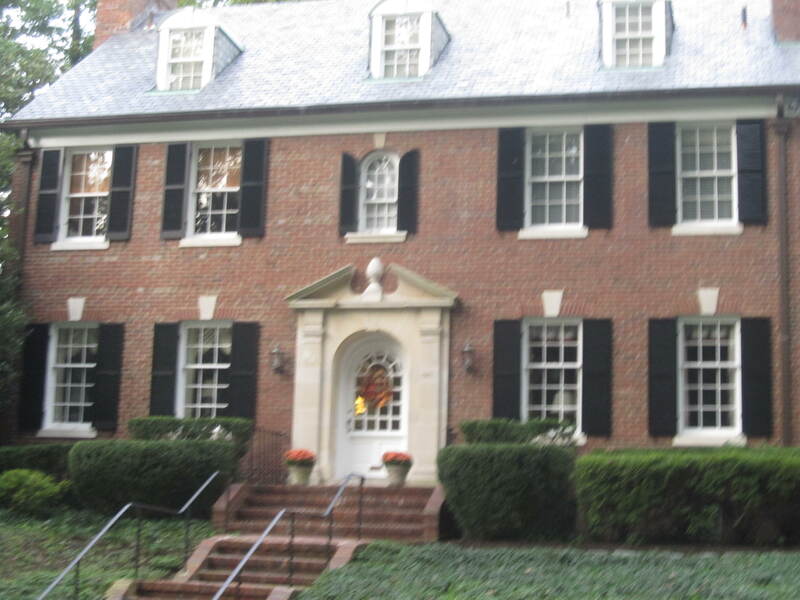 at 1:35 p.m. on Oct. 19, 1980, and arrived at “Moore Residence, 4917 Rockwood Pkwy.” at 1:40 p.m. If George H.W. Bush actually made the visit to Moore’s house with his wife Barbara Bush on that afternoon — rather than Barbara possibly going alone — that would make Bush’s alleged trip to Paris virtually impossible. So it would have seemed to be in Bush’s interests to release this information to investigators and have then interview Moore, if Moore would confirm that Bush dropped by that day. In the early 1990s, Moore also was Bush’s ambassador to Ireland and thus presumably inclined to help both his boss and his friend. However, when investigators were trying to determine whether Bush had traveled to Paris — and were looking for evidence to prove that he hadn’t — the Bush administration whited-out Moore’s address before releasing redacted versions of the Secret Service records. Moore died on Jan. 27, 1995. So, if George H.W. Bush’s purpose in delaying release of Moore’s identity was to ensure that no one could check with Moore about Bush’s alibi for Oct. 19, 1980, Bush achieved his goal. Those suspicions deepened with the Bush administration’s continued refusal to provide seemingly innocuous information, like Moore’s address. In 1991-92, President George H.W. Bush’s administration continued to insist on keeping the “Moore Residence” destination secret even after Congress authorized an investigation into the so-called October Surprise case, whether Republicans in 1980 had contacted Iranians behind President Jimmy Carter’s back to frustrate his efforts to free 52 American hostages. Carter’s failure to gain release of the hostages made him look weak and inept, setting the stage for Ronald Reagan’s landslide victory, an election which dramatically changed the course of the nation. The Iranians released the American hostages immediately after Reagan was sworn in on Jan. 20, 1981, further making Reagan appear to be an imposing world figure. 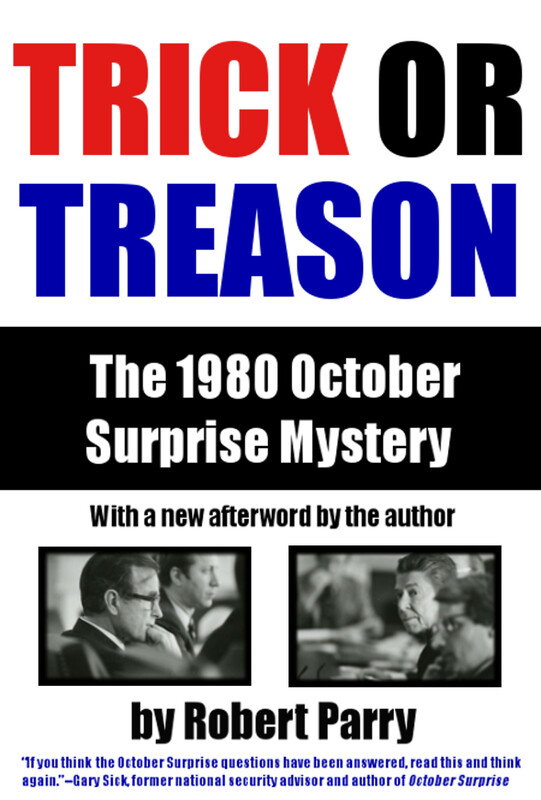 Though there were early rumors about a secret Republican deal with Iran, the October Surprise mystery didn’t gain much traction until the exposure of secret Iran-Contra arms shipments approved by Reagan to Iran in 1985-86. Suddenly, the notion that Reagan and his Vice President George H.W. Bush would lie about covert dealings with Iran didn’t seem so preposterous. Essentially, the October Surprise question was whether Reagan’s secret contacts with Iran dated back to Campaign 1980, as a growing number of witnesses — from inside the governments of Iran, Israel, France and the United States — were alleging. At the time, the Republicans also suggested several reasons why the alibi witness for Oct. 19, 1980, should remain secret. One was that Bush might have been off on a romantic rendezvous and that Democrats simply wanted to pry into the visit as a way to neutralize accounts of Bill Clinton’s womanizing. However, that “tryst” rationale fell apart when I obtained the Secret Service records for Barbara Bush and they showed her on the same trip, with the destination again whited-out. In 1992, as Bush’s team continued to stonewall the identity of Bush’s “alibi witness,” Bush angrily demanded at two news conferences that Congress specifically clear him of the allegations that he had taken a secret trip to Paris in 1980. Bowing to those pressures in June 1992, Rep. Lee Hamilton, D-Indiana, chairman of the House investigative task force, agreed to a curious bargain in which he and a few senior investigators were shown the destination of Bush’s supposed afternoon trip on Oct. 19, 1980, but with the proviso that they never interview anyone who was there or disclose any names. So, without verifying Bush’s alibi, the House task force cleared Bush of going to Paris. When I asked Hamilton about this strange agreement this week, in the wake of the National Archives’ release of the “Moore Residence” document, he responded through a spokesman that he was “not able to provide any answers” because he no longer has his official records. Though the Oct. 19, 1980, visit could have involved either Moore or his wife or both, the “alibi witness” being kept secret in 1992 had to be Moore, since his wife, Jane Swift Moore, died in 1985. When I contacted one of Moore’s sons, Richard A. Moore Jr., he told me that he didn’t think that any of the family’s five children were still living in the Rockwood Parkway house in 1980. Nor did he think there would likely be any photographs of the visit since the Bushes were “almost neighbors,” often popping in. But the question remains: If Richard A. Moore could have confirmed that Bush was definitely in Washington on Oct. 19, 1980, not on a secret mission to Paris, why wasn’t he questioned? Why was the Bush administration so determined to block the House task force from interviewing Moore? Which is why Moore’s silence in 1992 only adds to the mystery. Moore served in Dublin until June 1992, departing the same month as the battle over withholding his identity was playing out in Washington. Given Moore’s close call with a criminal prosecution for his role in the Watergate cover-up he was often in meetings where all the other participants ended up going to jail he understandably might have been very leery about lying to Congress even to protect another U.S. president and a personal friend, if Bush indeed had snuck off to Paris. Another document released to me under my appeal to the National Archives raises further suspicions about Bush’s whereabouts on that Sunday. Undated handwritten notes that I found in the files of one of White House counsel Gray’s assistants, Ronald Von Lembke, indicate that some of the Secret Service records for Oct. 19, 1980, were missing. For that date, the notes say, “*NO Residence Report. *0000 [midnight] – 0800 missing. 0800-1600 okay. *1600-2400 missing.” Stars were used to highlight the references to missing material. Written in the margin, next to the time references is the name “Potter Stewart,” the late Supreme Court Justice who was another Bush family friend. The reference suggests that the White House counsel’s office was checking on how to bolster Bush’s alibi for Oct. 19, 1980. The same notes include a check mark next to the name “Buck Tanis,” suggesting that the author of the notes had contacted Secret Service supervisor Leonard “Buck” Tanis, who was a Bush favorite from his Secret Service detail. Tanis was one of the supervisors for Bush’s Secret Service detail in October 1980. Tanis was also the only Secret Service agent on Bush’s detail for Oct. 19, 1980, who claimed to recall another dubious part of Bush’s alibi mentioned in the Secret Service reports, a morning trip to the Chevy Chase Country Club. When the redacted Secret Service records were first released in the early 1990s, Bush’s supposed Chevy Chase visit was cited as slam-dunk evidence that Bush couldn’t have gone to Paris. Then, Tanis came forward with another story, that George H.W. and Barbara Bush had brunch at the club with Justice and Mrs. Potter Stewart. By 1992, however, Justice Stewart was dead and Republicans said Mrs. Stewart was in poor health, suffering senility and couldn’t be interviewed. So, another Bush alibi couldn’t be checked out and Tanis’s recollection would have to stand unchallenged. However, I learned that reports of Mrs. Stewart’s physical and mental decline were greatly exaggerated. She was going out with a retired CIA official whom I knew. When I called her, she was quite lucid and told me that she and her husband never had brunch with the Bushes at the Chevy Chase club. Using the Freedom of Information Act, I also obtained redacted reports from Barbara Bush’s Secret Service detail and they showed her going to the C&O jogging path that morning, not to the Chevy Chase club. When I passed on this information to congressional investigators, they interviewed Tanis again and he backed away from his story of the brunch. He joined the other Secret Service agents in saying he had no specific recollection of Bush’s travels that day. The newly released handwritten notes suggest that, at minimum, an official from Bush’s counsel’s office discussed the Potter Stewart alibi with Tanis, thus raising questions about whether Tanis’s initial testimony about the alleged brunch was tainted. With Tanis and his brunch alibi discredited, investigative attention in 1992 turned to the afternoon trip on Oct. 19, 1980. But there again Bush’s alibi proved curious, especially with his “alibi witness,” who we now know was Ambassador to Ireland Richard A. Moore, kept away from the congressional task force. All this strange behavior piqued the suspicions of House Foreign Affairs Committee chief counsel R. Spencer Oliver. In a six-page memo, Oliver urged a closer look at Bush’s whereabouts and questioned why the Secret Service was concealing the name of the alibi witness for the afternoon trip. From the newly released White House documents, it is clear that Oliver’s suspicions were well-founded regarding the involvement of Bush’s White House staff in the decision to conceal the name of his supposed afternoon host. All this Republican resistance to the October Surprise investigation also must be viewed against the backdrop of significant evidence that Bush did go to Paris and that the Reagan campaign did undercut Carter’s efforts to free the hostages. Though some of those suspicions dated back almost to the time the hostages were freed on Jan. 20, 1981, other allegations emerged as the Iran-Contra investigation progressed in the late 1980s. That led PBS “Frontline” to recruit me in 1990 to examine whether the October Surprise case had been a prequel to the Iran-Contra Affair. As the October Surprise controversy heated up with the Republicans and Bush allies in the news media waging a fierce counteroffensive Frontline asked me to stay on the story, which led to another discovery that bolstered the Bush-to-Paris claims. Henderson couldn’t remember the reporter’s name but he passed the information on to Sen. Alan Cranston, D-California, whose staff forwarded the letter to me. By cross-checking some other information, we determined that the journalist was John Maclean of the Chicago Tribune, the son of author Norman Maclean who wrote the novel, A River Runs Through It. After hearing this news from his source, Maclean passed on the information to Henderson when the two met at Henderson’s Washington home to discuss another matter. As early as 1987, Iran’s ex-President Bani-Sadr had made his own claims about a Paris meeting, and Israeli intelligence officer Ari Ben-Menashe testified that he was present outside the Paris meeting and saw Bush, Casey and other Americans in attendance. Requested by Hamilton, who was in charge of the lackadaisical congressional inquiry into the October Surprise mystery in 1992, the Russian report arrived via the U.S. Embassy in Moscow in January 1993. But Hamilton’s task force had already decided to dismiss the October Surprise allegations as lacking solid evidence. Lawrence Barcella, the task force’s chief counsel, acknowledged to me that he might not have shown Hamilton the report and may have simply filed it away in boxes of task force records. Searching through the archived files at the Bush library, I found a “memorandum for record” dated Nov. 4, 1991, by associate White House counsel Chester Paul Beach Jr. However, the House task force was apparently never told about this confirmation of Casey’s presence in Madrid and proceeded to reject the Madrid allegations by citing a particularly bizarre alibi for Casey’s whereabouts on the last weekend in July 1980. Another stranger-than-fiction twist in this story is the new revelation that a figure from the Watergate cover-up was Bush’s “alibi witness,” although the witness apparently could not be counted on to support Bush’s October Surprise alibi. In Dean’s Blind Ambition, Dean credits Moore with first coming up with the memorable phrase that the Watergate cover-up was becoming “a cancer” on Nixon’s presidency, a metaphor that Dean used in a key confrontation with Nixon and repeated during the Watergate hearings. During those hearings, Moore was dispatched by the White House to dispute Dean’s assertion that Nixon was complicit in the cover-up of the June 1972 break-in at the Democratic National Headquarters at least as early as that September. Being a Yale alumnus and a friend of the well-connected George H.W. Bush, who was then chairman of the Republican National Committee, probably didn’t hurt either. 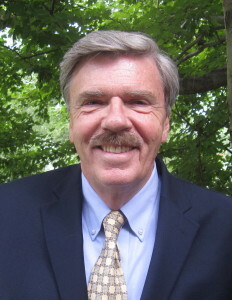 Moore had started his legal career working as a lawyer for the American Broadcasting Company in the 1940s. He was a close friend of Nixon’s Attorney General John N. Mitchell who brought Moore into the Nixon administration as his special assistant. Moore moved over to the White House in 1971 to serve as special counsel to Nixon. After leaving the White House, Moore returned to the television industry, becoming a founder and associate producer of “The McLaughlin Group” political chat show. In September 1989, President George H.W. Bush named Moore as Ambassador to Ireland, where he stayed until June 1992, when his testimony in another political scandal might have proved very important in either exonerating Bush or exposing a phony cover story that protected Bush’s participation in an operation that bordered on treason. I used to think Cheney was the most evil person alive but I’m convinced now that Bush 41 is the Emperor from Star Wars. Remember, Cheney shot someone in the face and the man apologized to Cheney. I can only speak for myself but if I was shot in the face, I cannot imagine apologizing to the person who did it unless they struck my heart cold with fear. Old man Bush simply has to say something is true and his minions set about making it appear so. What sort of fear motivates that sort of blind allegiance? And even though his lies are sometimes proven to be lies, such as he wasn’t with the CIA in 1963, he has no problem appearing in public. I mean, who is going to tell Emperor Palpatine that he cannot play tennis with Chris Evert? Certainly not anyone with a desire to achieve longevity. Webster Tarpley’s bio of Poppy is a must read. And the Republicans continue to wave tge flag, sing “Yankee Doodle Dandy,” and “Support our troops,” while sending the children of the working class off to fight the wars that rake in billions for the plutocrats. I knew it!!! I knew it!!!! We must get the word out about this, open your windows and let the world know!!! I’m mad as Hell and I’m not gonna take it anymore!!! Whos with me? Call the media and lets expose it for what it really is. Great job! I don’t know why the mainstream press has been frightened, intimadated or blackmailed from serious scrutiny of gop froM START, they ridiculed the Carters”cloth”coats, carrying their own suitcases, their small town humility, etc as a personal affront. They couldn’t get enough of Nancy’s “borrowed” designer gowns, phoney hollywood friends, “friends” whoo purchased the wildly expensive presidential china, the “friends” who purchased their post-white house residence,etc. The mainstream press abets in ridiculing or dismissing any attempts to seriously investigate our officials as conspiracy lunatics, etc. Our government has been hijacked by a bunch of criminals and thugs and I think Americans are actually afraid to speak out, investigate, protest. They’ve got the Tea Party going off half-cocked, so agressively foolish:isthe pressafraid to challenge them? Or the editors and owners, all of the above? seems anything they do that would normally be deplored is defiantly celebrated. This is a very complicated story. I first read about the October Surprise on another alternative news website. I have recently been reading about this in the Akashic Records, and it is very complicated. Many names involved, and most of what happened back then, did indeed have to do with maligning Jimmy Carter. The Bush and his Skull and Bones cronies set up this scheme, and of course Henry Kissinger was very much behind that. This story is a thread to what has happened to our country today. The homelessness, the high unemployment, and the near fascist take over of the United States. Many things in this story are very upsetting, but one of the most repugnant things is the malevolent behavior of the Secret Service Agency. You see Bob, they are being stripped and exposed for the filth that they are. They are an agency run amok. Worse than the mob. They do not follow their own policies and procedures, nor do most of them know their own policies and procedures. You may recall shortly after Bill Clinton became President he swore at one of the Secret Service Agents and told them with a swear word they can’t do that. Clinton didn’t realize the microphone was still on (the press was still there). It hit the national news that night…that Bill Clinton swore at the Secret Service Agent. I don’t consider that news. What I do consider news is the fact of what I read in the Akashic Records. After that particular incident behind closed doors, that particular agent was talking to his cronies smirking and laughing and said, “We do what we want!” They were making fun of Clinton for saying this, and according to the records they have been abusive for a very long time. A police force of sorts that was NOT elected doing what they please. They have been manipulating and swaying things in our country to the point it would make you nauseated if you read what I read. The good news is the Secret Service is being stripped of all their dirty filthy secrets and they are very frightened, like they have done to so many others. You will find Bob, that you will be getting much more cooperation from them! As for the October Surprise story I am still doing some reading. But I did read this…that what you suspect happened pretty much happened that way. Not only are you a good investigator, you are a very good discerner. What I am trying to say you were born with the gift of discernment. So was I. And with that comes sadness at times. The political crap that has been going on in our country is unfathOMable! I will say this Bob; it isnâ€™t about Democrats or Republicans. And, it hasnâ€™t been for a very long time! The reference to Bush raising October Surprise at two press conferences is tantalizing – are these available as transcripts or as CSPN video clips (as they used to broadcast the complete Bush press conferences)? I remember at least one instance, at the time, when Bush interrupted his own flow to scoff at the preposterous notion that he might have flown to Paris in an SR 71 spy plane, a trip which have taken him from Andrews to Paris in just over an hour, and certainly fitting the time frame you’re investigating. In effect his clumsy reference to it served to shine a light on an allegation which otherwise would have escaped much notice. 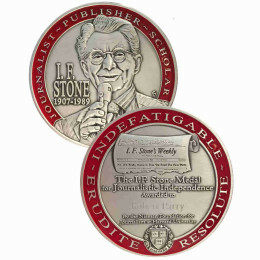 But when I looked in the NY Times transcript for the reference, I couldn’t find it, perhaps my fault – no doubt it’s probably “somewhere…” In any case, I think it would be valuable to read the words and context Bush used to make denials no reporter had asked for – almost like a Poe story, blurting out the truth of the crime without being able to control himself. We need your continued efforts to set history straight. My instincts tell me that if you keep pushing, you’re going to crack the October Surprise story and force it into the public arena – and finally get something of the credit you deserve for refusing to let history rest comfortably in a despicable right wing lie, bringing Reagan to power with a treasonous covert operation which has damaged our contry ever since. I don’t have a date or time, but I do have a memory of an interview with H.W. Bush done by Dan Rather on CBS T.V. In this particular case, Rather brought up the October Surprise question. Bush’s reply was to ‘bully-down’ Rather. Bush’s obvious angry emotional response made some news in itself, as did Rather’s counter-response of backing down on camera. A noteworthy sidebar was that later on there was some speculation of whether Bush had a mental condition attributed to elderly age – which I can’t remember the name of – which has symptoms of sudden outbursts of a cranky short temper. OK, now lets find out where he was on November 22, 1963. It is obvious people are finally starting to WAKE UP. Thanks be to God!